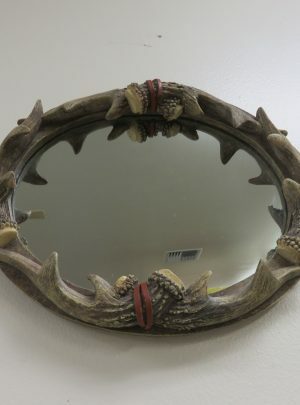 This is a great art piece! 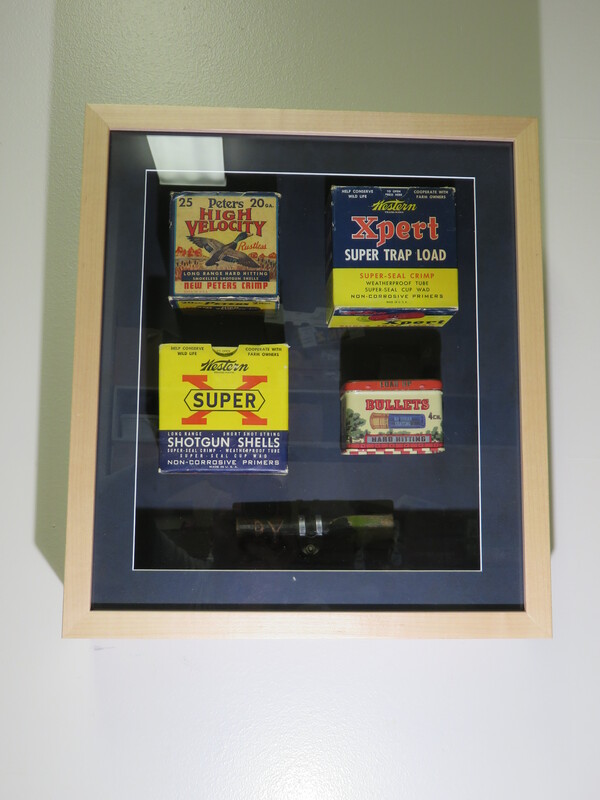 It features a collection of vintage shotgun shell packages grouped with a hand call in a beautiful shadow box. The box itself is crafted of solid Maple wood and has a matted frame inside. 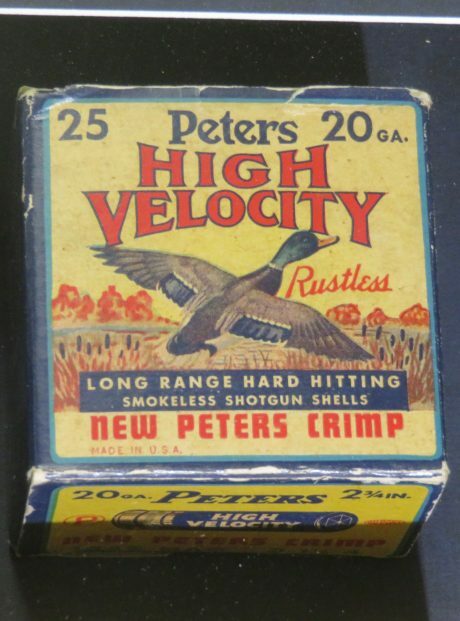 This matte matches the back of the box. 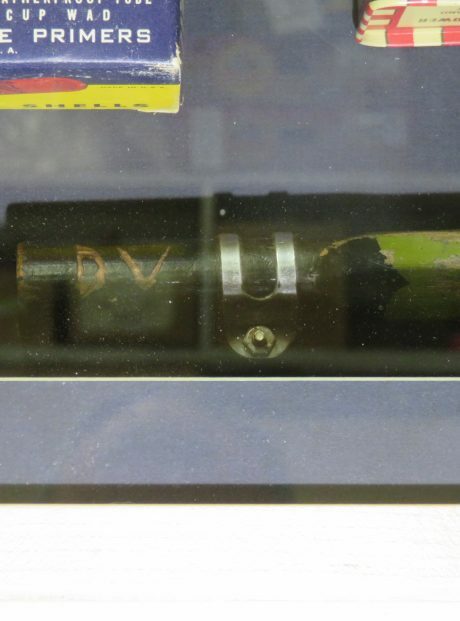 There is an old call in the bottom of the display (see attached photos) that has initials carved into it. 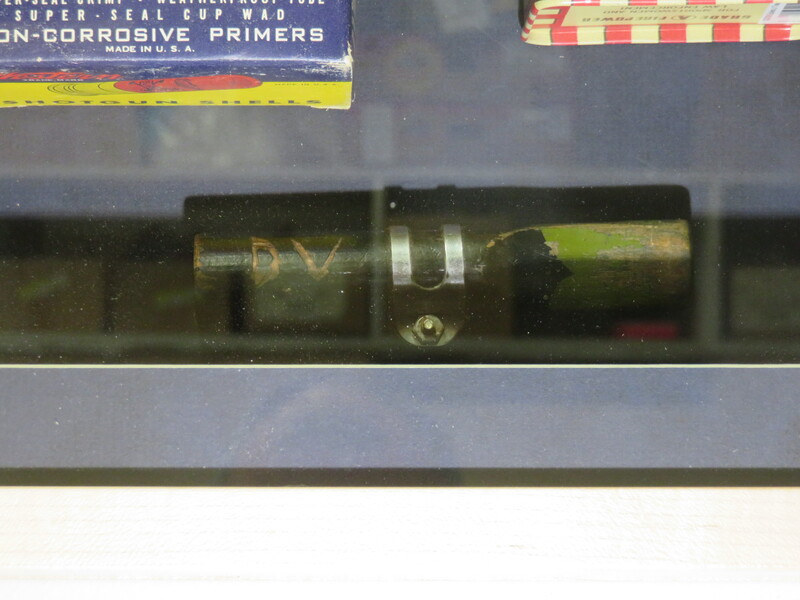 The display box is a piece of are in itself and has been made professionally. 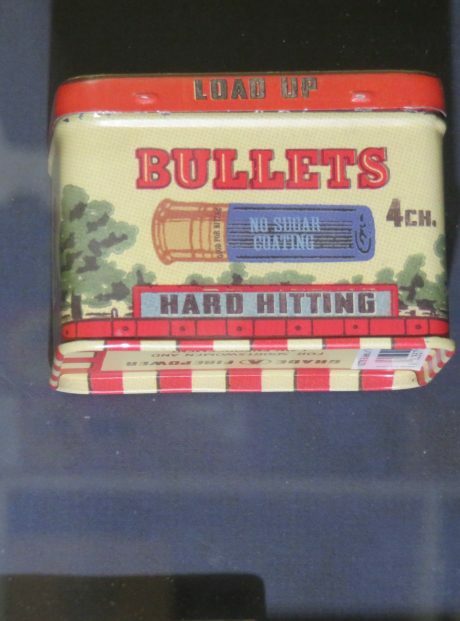 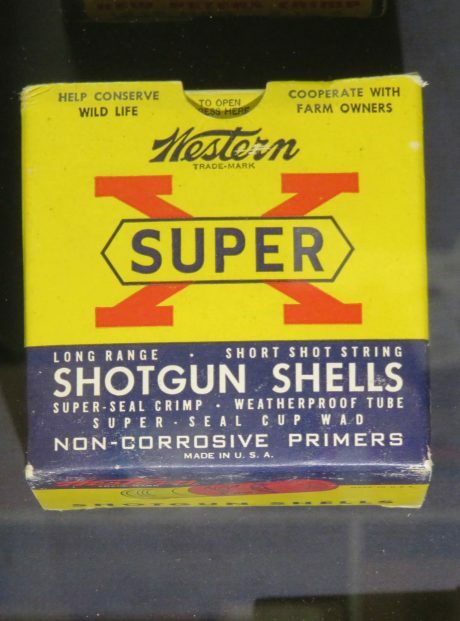 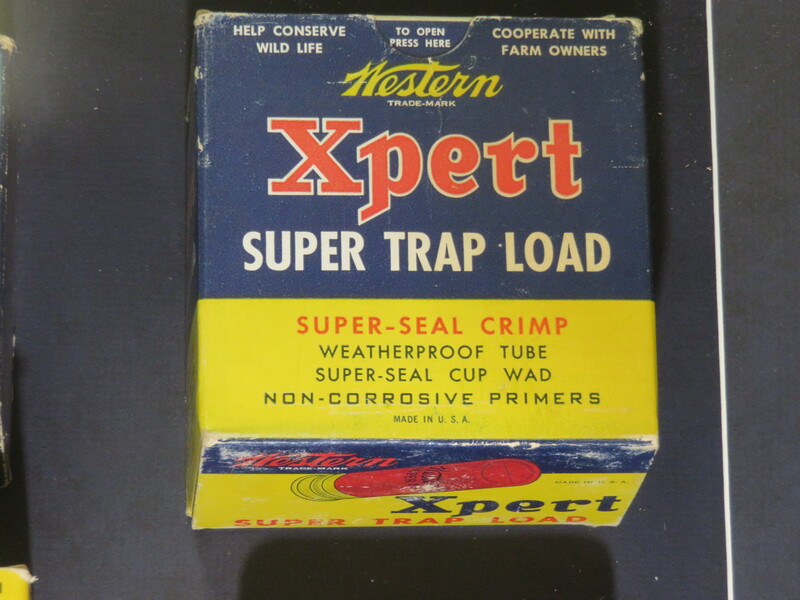 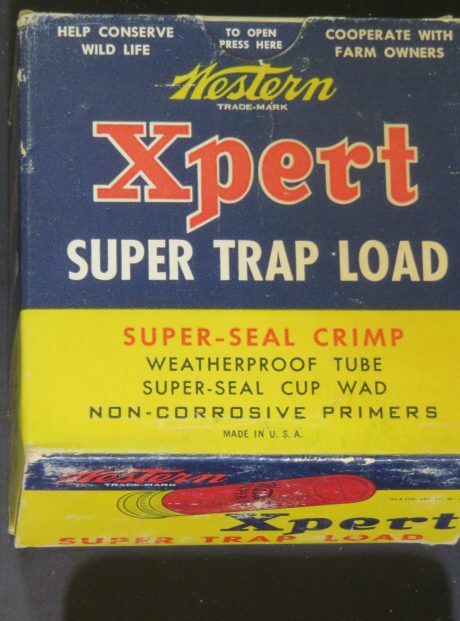 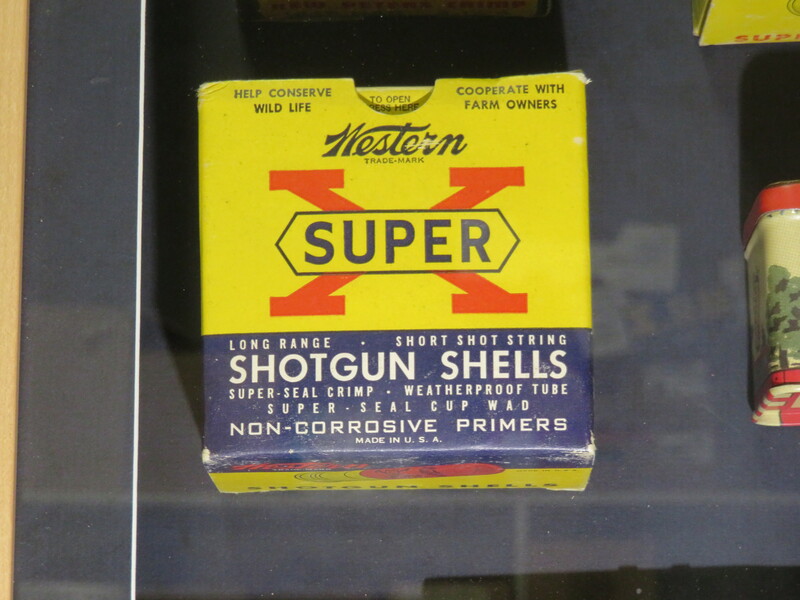 The cartridge boxes (all 12 or 20 gauge) are Peters (1), Western (2 boxes) and a metal tin that simply states “Bullets” and “Hard Hitting” on the front of the package. 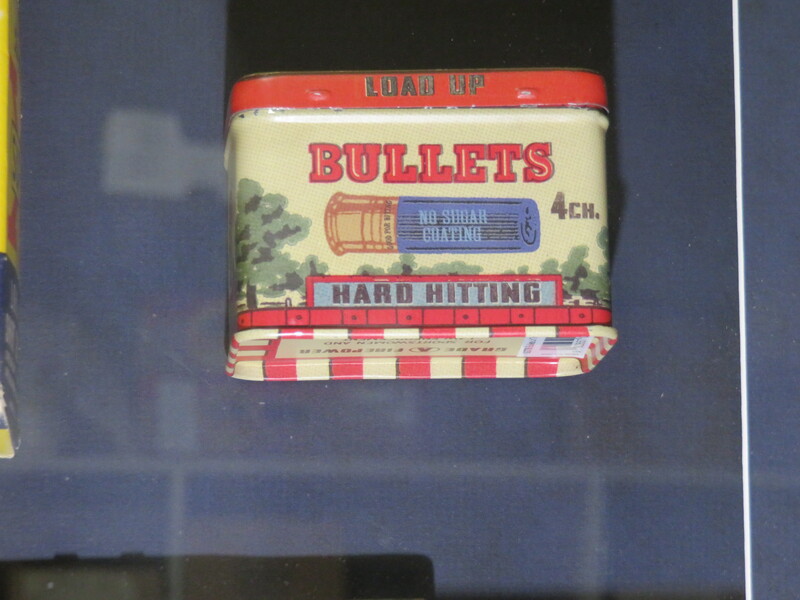 All containers are in very good shape especially for the age of each item. 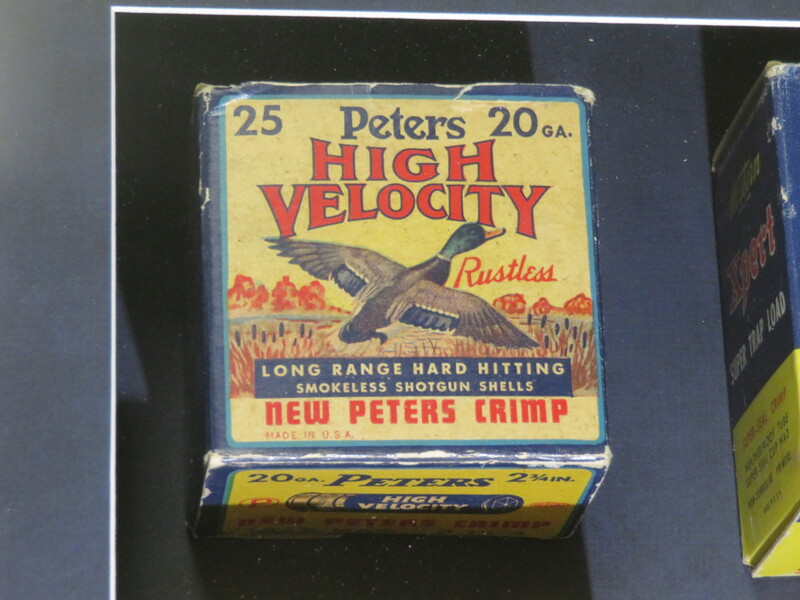 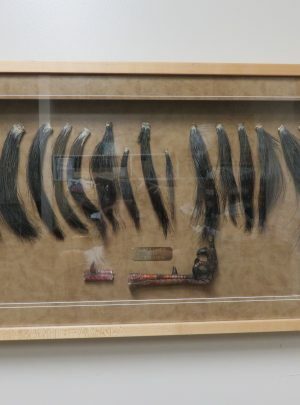 A great collection of memorabilia for the bird hunter. 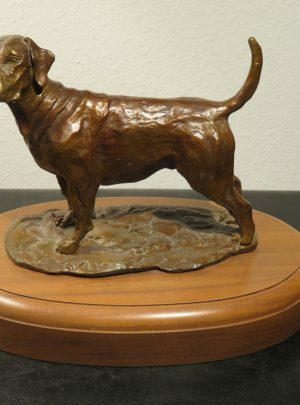 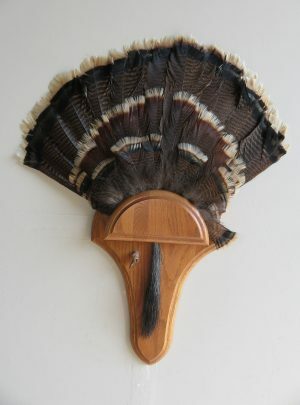 It will make a great addition to a display of hunting items or as a conversation piece in the home, lodge or office. 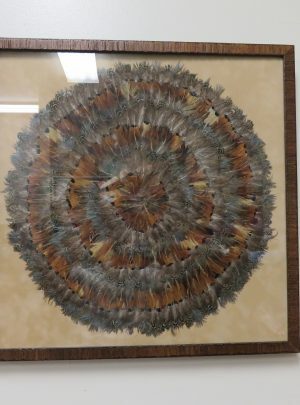 The total size of this item are 17″ x 15″ x 4 1/4″. 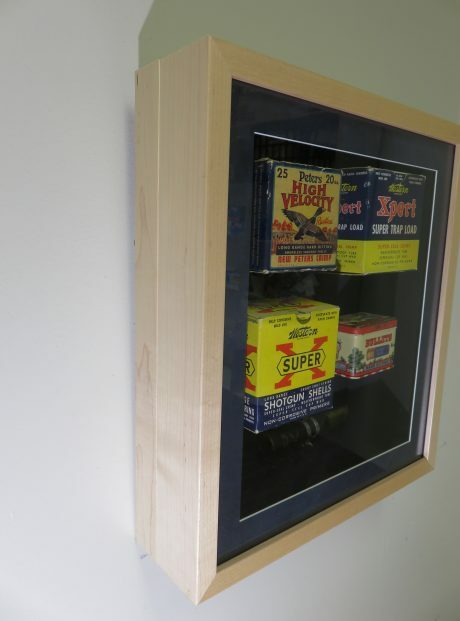 The back has a cable/wire for quick hanging and display.